A breeding pair of Eurasian wolverines – male Yaroslawl, born in 2016 and female Janis, born in 2017 – can be found in the American Grasslands at the Detroit Zoo. The wolverines arrived at the Zoo from Sweden in 2018 through a recommendation from the European Endangered Species Programme, as part of a partnership between the Association of Zoos & Aquariums and the European Association for Zoos and Aquaria. 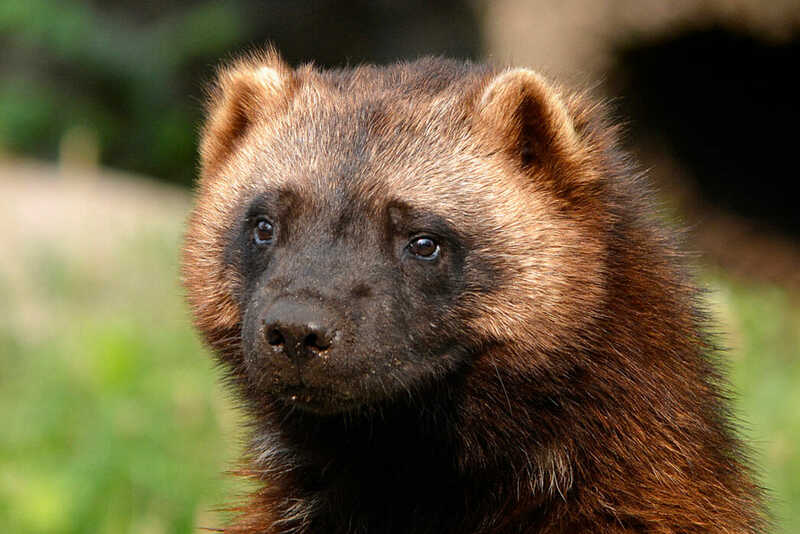 Wolverines have small, round ears, broad heads and long, bushy tails. They have dark brown fur with tannish-colored stripes on both sides of their bodies (running from their shoulders to their tails). They are stocky and muscular members of the weasel family that more closely resemble bears than other weasels. Their wide feet help them to travel over various terrains (such as snow), and their long, non-retractable claws and powerful jaws help them rip into their food. A wolverine's fur is hydrophobic, which means that the fur is resistant to the elements such as frost and snow. Kits are born white so they are able to be camouflaged in the winter. Their white natal hair eventually turns brown as the kits mature. The wolverine is a carnivore that eats squirrels and hares. It is also known to scavenge dead animals such as caribou.